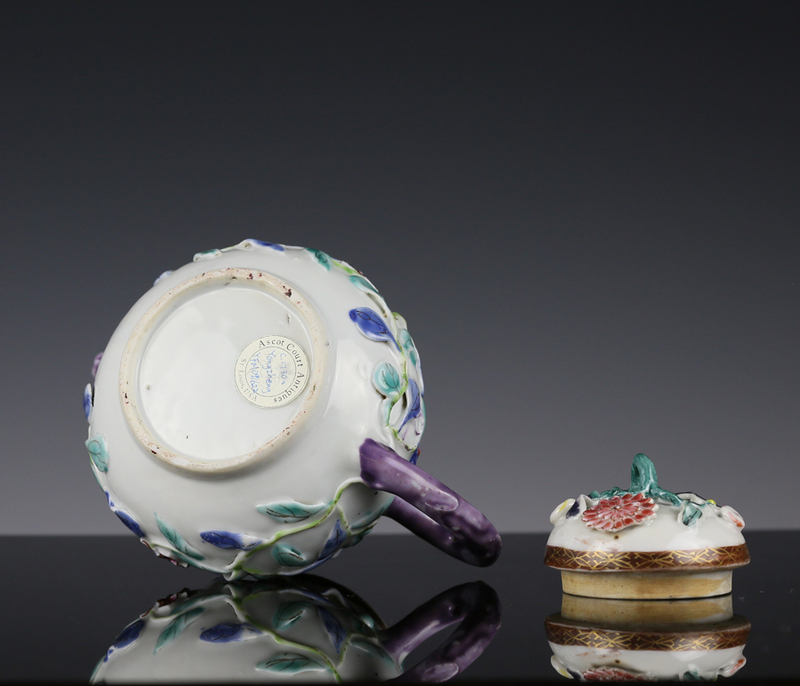 A charming late Yongzheng period famille rose teapot, with an elegant elongated body tapering to a bulging lower belly, and modeled with aubergine enameled handles simulating the look of tree limbs. The lid and body is appliqué-decorated with flowers and foliage in high relief. 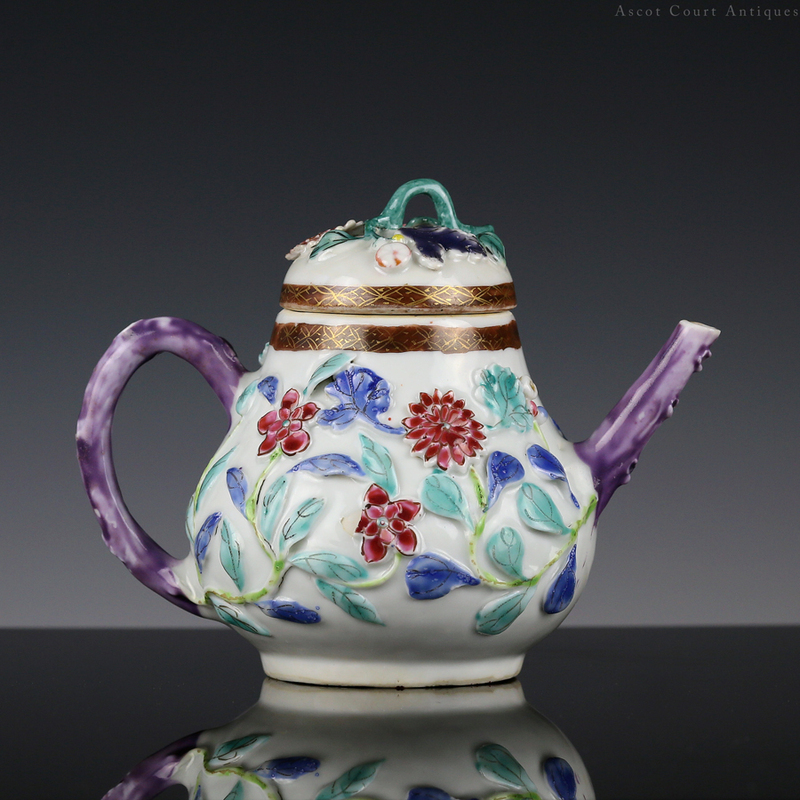 This teapot belongs to a group of export famille rose teapots made almost exclusively during the late Yongzheng period, which feature hand-molded and applied floral appliqué decorations and naturalistic forms. Their 1730s production date aligns with the height of rococo fever in Europe, during when highly stylized shapes adapted from nature (such as shells and flora) were popular decorative motifs. The famille-rose color palette, with its rosy pastel colors, also lent itself very well to the rococo taste. 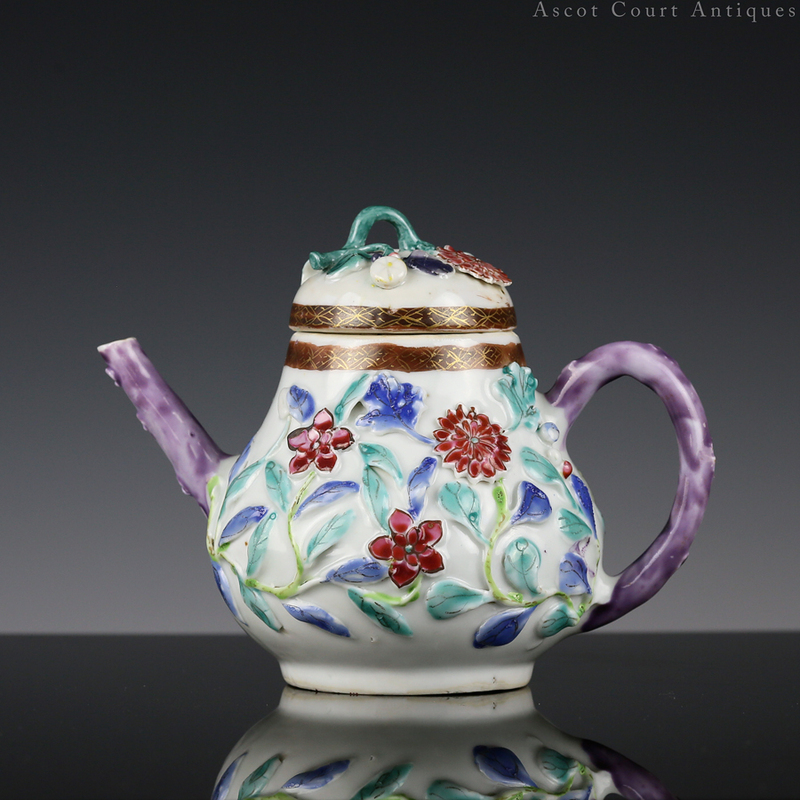 The charming, florid appearance of these teapots seemed to have been deeply popular with early 18th century European consumers. 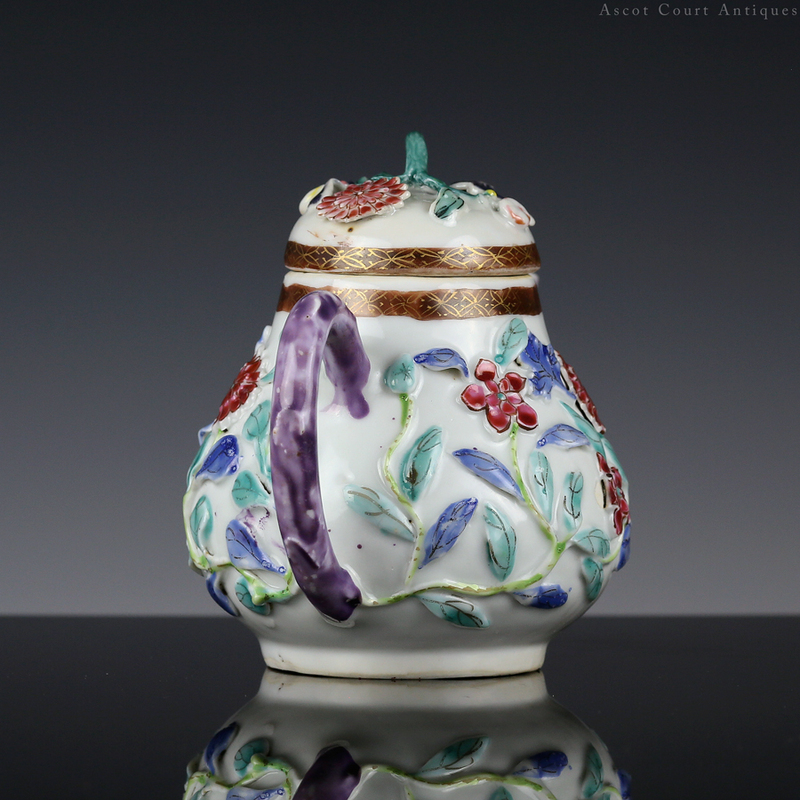 In 1735, the German Meissen porcelain factory produced its own imitation of the appliqué-decorated teapot, as Johann Joachim Kändler designed a covered bouillon cup encrusted with roses for Princess Wilhelmina of Prussia. 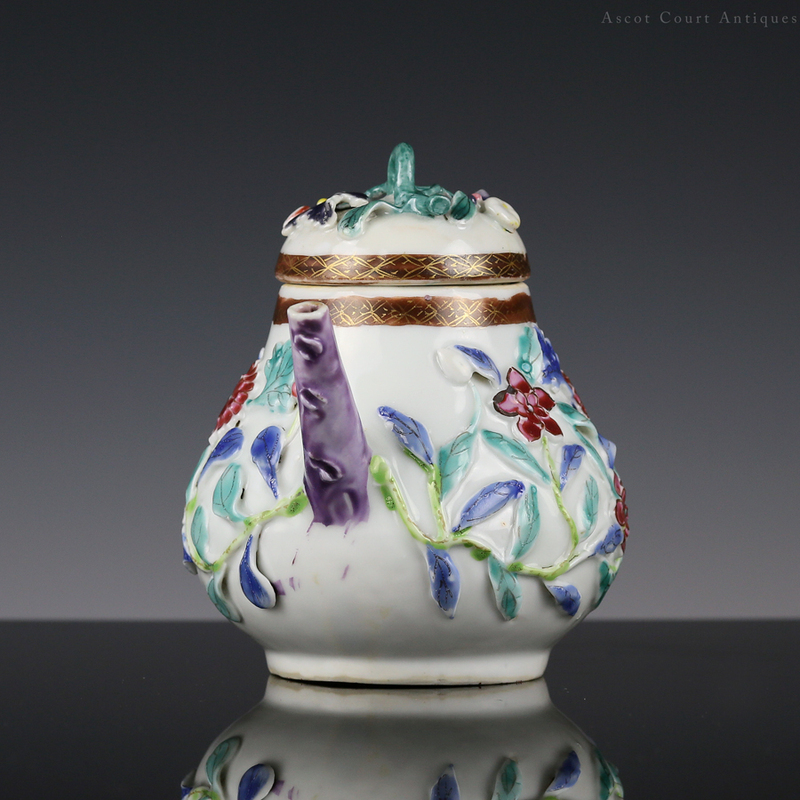 This type of polychrome porcelain is so popular with the West that Meissen still produces pieces in this style today.